The add-on product C-STAT for static analysis is now supported. C-STAT features innovative static analysis that can detect defects, bugs, and security vulnerabilities as defined by CERT and the Common Weakness Enumeration, as well as help keeping code compliant to coding standards like MISRA C:2012/2004 or MISRA C++:2008. For more information, see the C-STAT Static Analysis Guide. IAR Embedded Workbench can now build projects using multiple parallel processes. This can improve build performance significantly on multi-core or multiple-processor computers. To enable parallel build, select Tools>Options>Project>Enable parallel build. The compiler generates smaller and faster code for certain source program constructions. An Eclipse plugin is now available that allow the IAR C/C++ Compiler, Assembler and Linker to be run from within Eclipse. 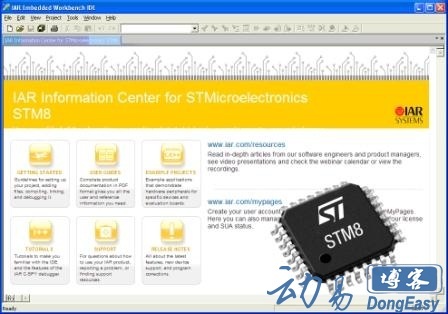 SFR header files, linker configuration files, and device description files have been added for the latest STM8 devices. The IDE Project Management and Building Guide has been updated to reflect the product changes.